IHeart Organizing: IHeart: A Remodelaholic Feature!! 11 IHeart: A Remodelaholic Feature!! A special THANK YOU to Cassity for allowing me to guest post over at Remodelaholic today! 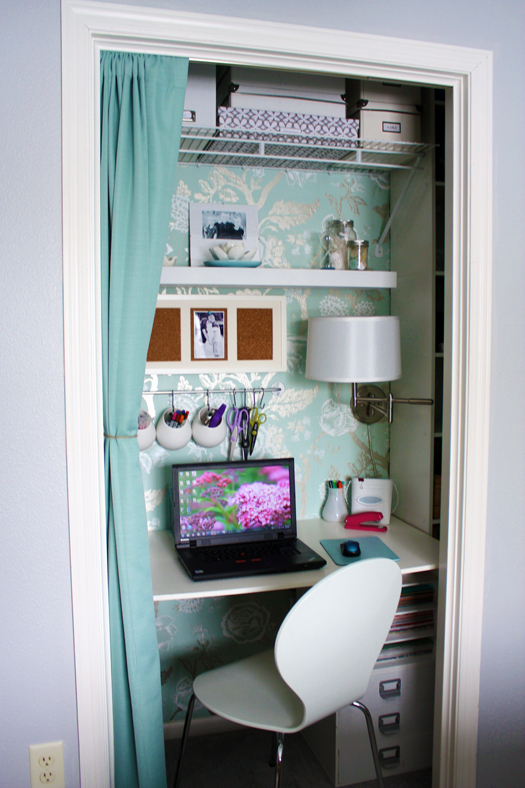 Remember this closet office I whipped up in our Master Bedroom? 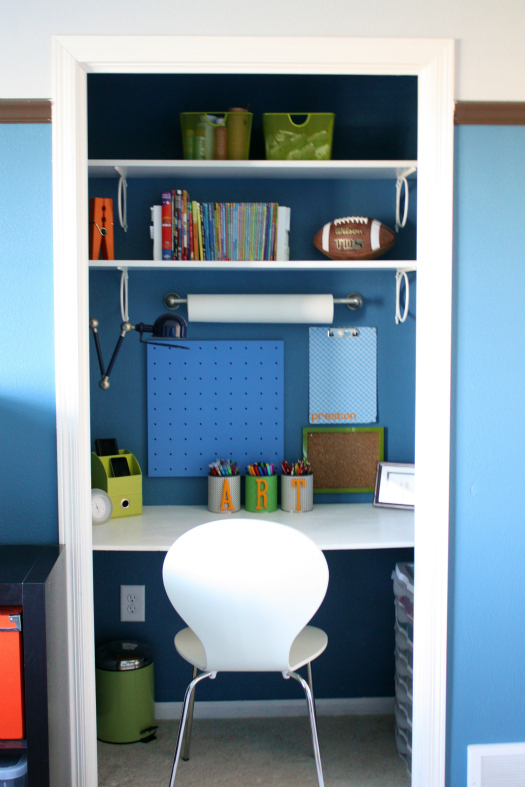 And this study nook we installed for our oldest son, Preston? I am so honored that I had the opportunity to share both of the closet office spaces and the process of getting them from "So So" to "So Fab!" I would love for you to hop on over the the incredible Remodelaholic blog to check out all the details, and then get sucked in my all the rest of the awesomeness that goes on! Wow! Looks Great! I actually took the closet doors off in 2 out of 3 rooms for more space. Love your blog and am a new subscriber! I love the rod you added to hold the paper. I need to add that to my daughter's room! Es un despachito precioso, me encanta. It's soo lovely. Have a nice day! Removing the closet doors seems to make the room feel bigger. I love what you've done with the spaces. Keep on blogging! Where do you find your wallpaper???? I typically find it at HomeDepot.com and then scour the internet for additional websites that may offer it at a discounted rate. I have also heard that Sherwin Williams has a great selection and I have been really itching to check them out as well! Yahoo! I love when you get good press. You deserve it. Well done! I had seen the first, but not the second. Love it! So well styled. Love the chair, the clip, and so on. Great work.